In a wide-ranging call to reporters on Oct. 30 from Capetown, South Africa, Agriculture Undersecretary for Trade and Foreign Agricultural Affairs Ted McKinney said South Africa is making progress on land reform, that the Foreign Agricultural Service will lead a trade mission to South Korea next week and that the United States must get assurances from China on technology issues before going back to the negotiating table. 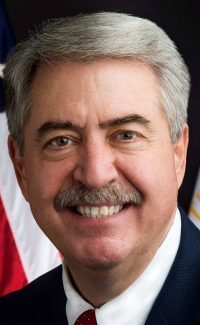 McKinney has been leading a delegation of U.S. state agriculture commissioners and representatives of more than 30 companies to Johannesburg and Capetown, where they have been trying to sell U.S. farm products to South Africans and representatives of other countries in southern Africa. McKinney acknowledged that the market in these low-income countries is small, but said he believes the trip is worth it over the long run. The "megatrend," McKinney said, is population growth, but the movements to eliminate corruption and the entry of more people into the middle class also would improve the market for U.S. farm products. He added that, like many developing countries, the southern Africa countries "are still protectionist," particularly in poultry and pork. One issue that came up, McKinney said, is that South Africa wants a veterinarian to sign off on meat shipments, but that it would be difficult for the United States to put a veterinarian at every port due to the shortage of veterinarians. Other specific issues were related to heat-treated canned products and market access for U.S. blueberries and apples. The issue of the Trump administration's tariffs on imports of steel and aluminum — including South Africa's — did come up, but McKinney said he was able to explain that U.S. importers can ask for exclusions. He also said he told the South Africans that even though the tariffs were imposed on national security grounds, they did not need to fear U.S. military action. The tariffs were imposed, he said, because the global oversupply of steel and aluminum and the continued production are a threat to U.S. "economic security" and have been driving U.S. firms out of business. South Africa, he noted, is "the anchor for a lot of Africa, certainly the southern two-thirds" of the continent, and suggested that the U.S. government should pursue a free trade agreement with South Africa as well as those with Ghana, the Ivory Coast and Kenya, which have already been mentioned as possibilities. McKinney also noted that discussions with government leaders often lead to internal matters and that in South Africa the discussions had led to the subject of land ownership reform. South African blacks have raised the issue of land ownership because, while the predominantly black country is now democratic, most farmland remains in the hands of whites. In his opening remarks, McKinney said that in his discussions with South African leaders, the issue of land reform had come up and that he concluded South Africa is on the path of "a more orderly reform … on a right and correct track," compared to how Zimbabwe took land from white farmers and put it in the hands of black citizens. McKinney also praised South Africa for helping the United States with international battles over biotechnology, including gene-editing, and said that happened particularly because biotechnology has helped South African farmers counter armyworms with built-in pest resistance. McKinney also said that Foreign Agricultural Service Administrator Ken Isley will lead a trade mission to South Korea next week and that more than 700 meetings have been set up there for U.S. companies. China has been a "a very important customer," McKinney said, but the United States cannot "get back to the table" with China until it gets assurance that China "will quit stealing our stuff," including intellectual property and forcing technology transfer from American companies. McKinney said American "hearts go out" to farmers in China who are coping with African swine fever because there is no cure for it. The disease could enter the United States through "the international movement of meat," McKinney said, and therefore the U.S. government will be vigilant about it. USDA will continue to focus on the big markets in Mexico, China and Canada, McKinney said, but will also focus on emerging markets in the hope that those efforts will develop markets for U.S. farm products, as they did in Japan and other countries many years ago.